Klein Tools’ 24" Bubble Level features powerful rare earth magnets on one side and V-groove on the other. 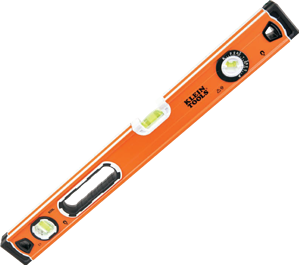 This precision machined level is accurate and durable with an orange body for visibility so it won’t get lost on conduit. Want More Info On This Product?